There really are no mistakes in papercrafting - just opportunities to be even more creative. 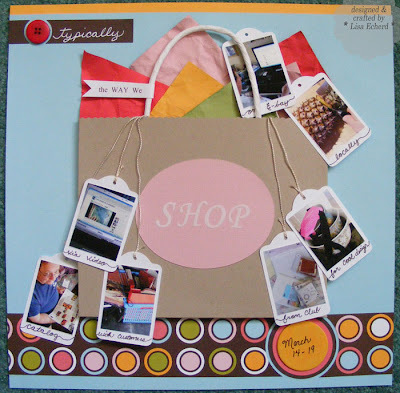 And thus this page kicks off a series of posts - about one a week - on all the joys of papercrafting. You know them; I know them, but sometimes it is nice to see them in print. 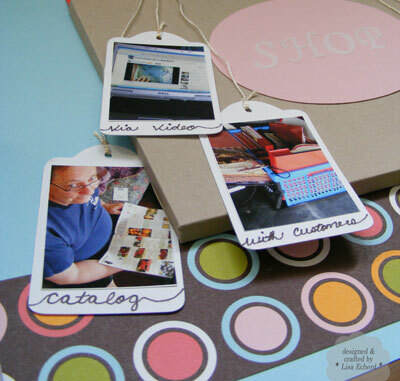 So when someone (like your Mother or your husband) wonders why you can spend an hour in the scrapbooking section of Hobby Lobby or can't wait for the next card making video or just hole up in your craft room, you'll have a few ready answers. As I've already confessed, I had to stretch the designer paper to get this border by cutting it and adding the circle element. 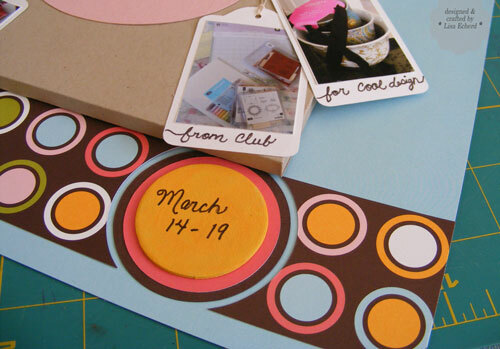 The center is a chipboard circle I painted with various shades of yellow and orange until I got something that worked. I used Creative Memories circle cutters to cut the edges of the DSP around the circle element. American Crafts DSP has a solid back that coordinates and it was a great blessing to this layout for the background and some of the elements. The tags were cut with the Cricut and Tags, Bags, Boxes and More cartridge. I printed the photos on matte paper and then pasted them on the tags. The Kraft bag is cut with decorative scissors along the top edge and then just scored and folded. It has 1/4" deep sides. The handle is cut from a real shopping bag. 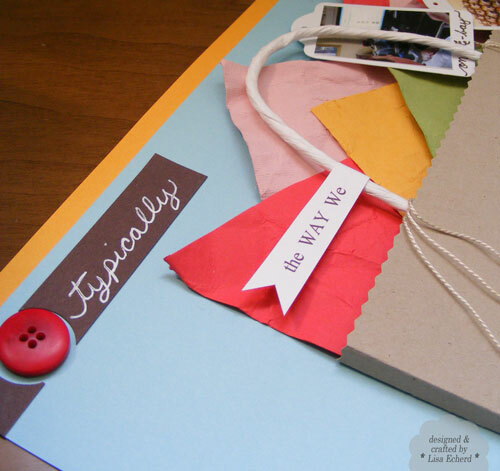 The 'tissue' is scrap cardstock. I soaked each piece in water briefly, crumpled them up wet in my hands and then laid flat to dry. None of these papers had an ink run but I've had that happen before so be careful of handling wet paper or you can end up with a lot of dye on your hands. Another fix for this page was the yellow strip at the top. I got the whole thing a little too high on the page so I just cut off some of the bottom and added a contrasting strip to the top. In taking these photos for a week of Project 365, I was amazed that even when we shop in stores we often start on-line such as the Liberty of London bowls I bought at Target. Target is a bit of drive for me so I wanted to know they had them before I bothered. The Internet has changed many, many things but definitely the way we make purchases - and very much for the better. Cardstock: Kraft and Choc Chip by SU! Pens: Signo White gel pen and journaling marker from SU!